Costabile told Business Insider that “Saul” co-creator Peter Gould had discussed Gale returning as far back as the first season. But he wasn’t told he’d have to sing a Periodic Table song, and he said it took him weeks to memorise it. 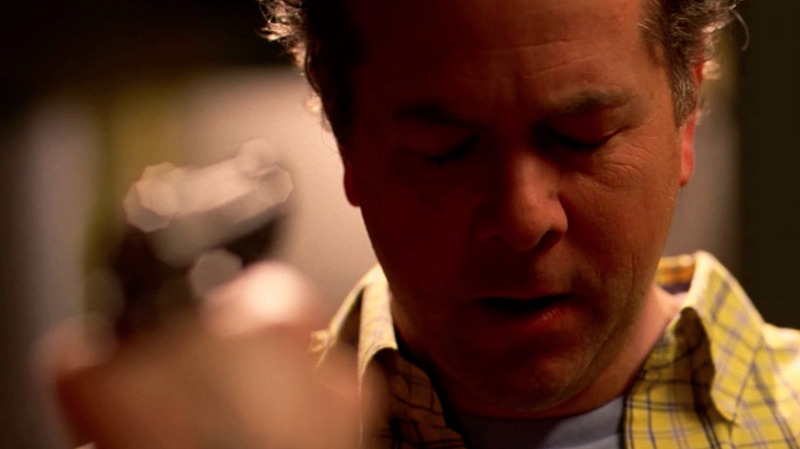 If you thought Gale Boetticher died too soon on “Breaking Bad,” the actor behind the character agrees with you. Fortunately for Gale, and actor David Costabile, the creators behind the “Breaking Bad” prequel “Better Call Saul” weren’t done with Gale either. Costabile reprised his role as the chemist on Monday’s episode of “Better Call Saul,” called “Something Beautiful,” in a brief but satisfying cameo. The idea of returning had actually been planted in Costabile’s head since the first season of “Better Call Saul” (season four is now airing). Costabile said he ran into “Saul” co-creator Peter Gould at a breakfast place in Albuquerque, New Mexico, where “Breaking Bad” and “Saul” are set, as the first season of “Saul” was wrapping up filming. Fans of “Breaking Bad” who watched Monday’s “Better Call Saul” episode probably instantly recognised him as the chemist who gets caught in the middle of Walter White (Bryan Cranston) and Gus Fring’s (Giancarlo Esposito) drug conflict. He pays the ultimate price, as he’s killed by Jesse (Aaron Paul) in the season three finale after Gus orders Gale, who had been Walt’s lab assistant, to learn Walt’s meth formula. In analysing Gale’s “Saul” cameo, Costabile described his character as “earnest.” Indeed, he seems to be in high spirits in the episode, obviously completely unaware of the fate that awaits him later in life. In the episode, Gus meets Gale in a chemistry lab where Gale is singing a Periodic Table song, reciting all of the elements. Gale hands over meth samples he’s tested for Gus and offers to cook a better batch himself, which Gus declines – a slight nod to his future. Costabile said that it was easy to get back into the character of Gale as soon as he was back in Albuquerque, and he looked forward to playing someone who was “just so vastly different in tone from most everyone else on the show.” But the song he had to sing was a different story. “They did not tell me that I was going to have to sing this tune that I have to sing [when they asked me to return],” Costabile said. As for viewers seeing more of Gale in “Better Call Saul?” He was less open about that.